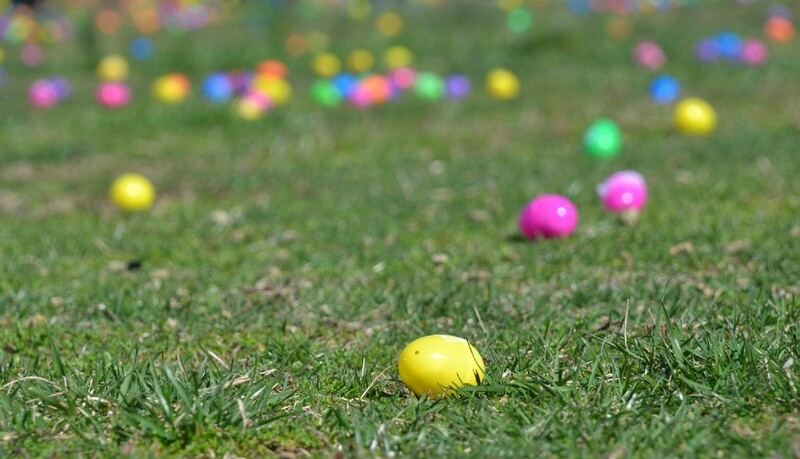 The egg hunt will take place on the Cherry Hill West football field beginning at 10 a.m.
Kingsway Church in Cherry Hill will be hosting one of South Jersey’s largest egg hunts on Saturday, April 15, at 10 a.m. at the Cherry Hill High School West football field. The egg hunt is open to all children ages 0 to 12. The field will be covered with 75,000 little plastic eggs. Each egg is filled with candy or a golden ticket. The hunt will consist of four separate age groups so all kids will get plenty of eggs. The age groups are 0 to 2, 3 to 5, 6 to 9 and 10 to 12. Parents and teenagers are not permitted to gather eggs. Participants are encouraged to arrive early. There will be coffee and donuts at the event. Prior to the hunt, everyone will be asked to sit in the bleachers to hear instructions. Next, participants will line the track and wait for the siren to blast, signaling the start of the hunt. The majority of the eggs are filled with candy, but a few have a special golden ticket, which could be redeemed for a new bike, games or a basket of crafts. The event is free and open to the public. For more information and pictures from prior egg hunts, visit http://kingswaychurch.tv/news/egghunt/.